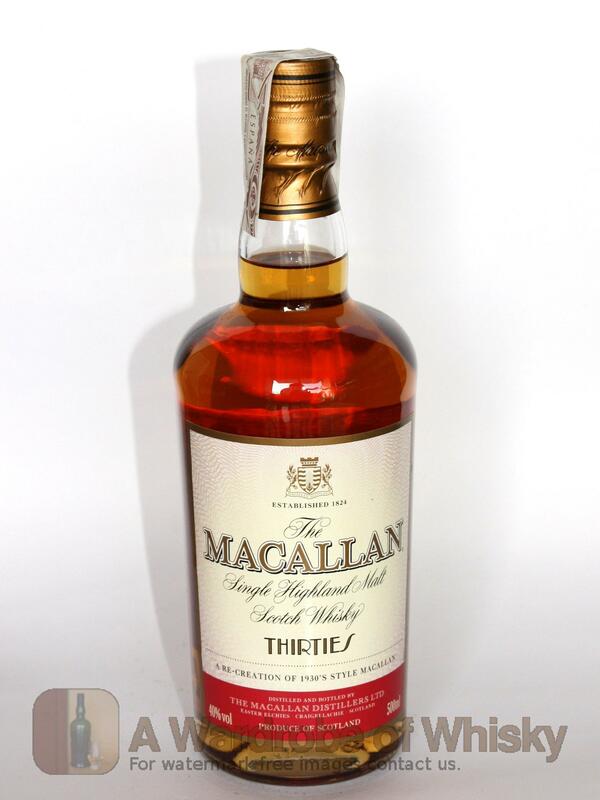 To re-create the style of The Macallan in the 1930's, their Master Distiller has sampled bottles of The Macallan from that decade and matched their aroma and flavour with more recent distillations taken from the casks maturing in the warehouses. 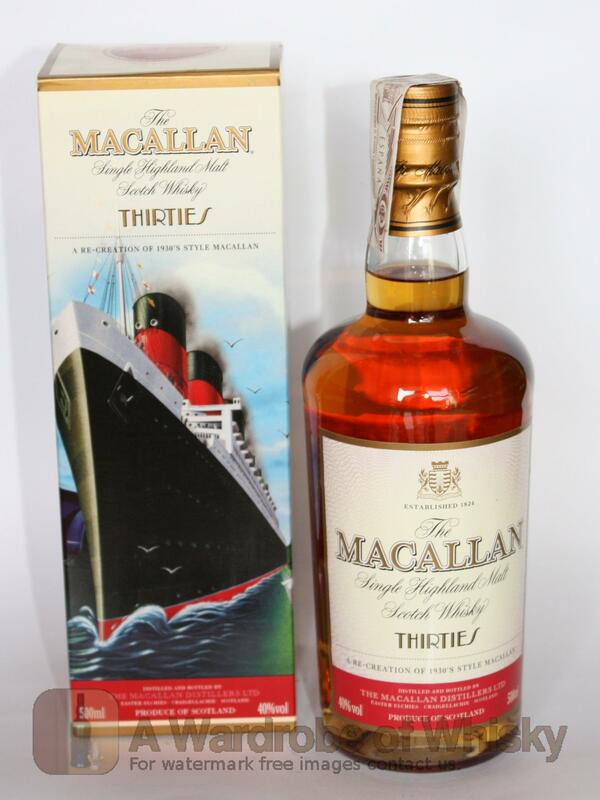 During the 1930's, with coal in short supply as a result of increasing industrial activity, The Macallan reverted to drying barley using peat fires. 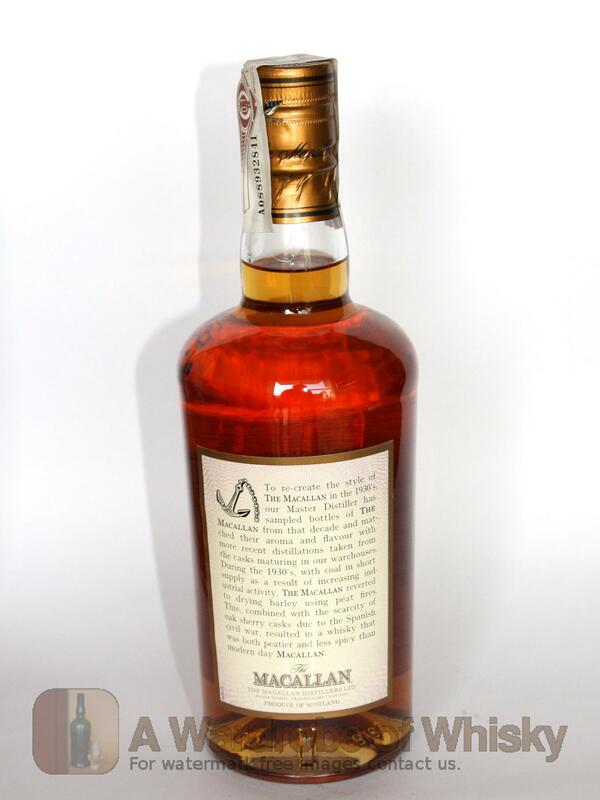 This combined with the scarcity of oak sherry casks due to the Spanish civil war, resulted in a whisky that was both peatier and less spicy than modern day Macallan.